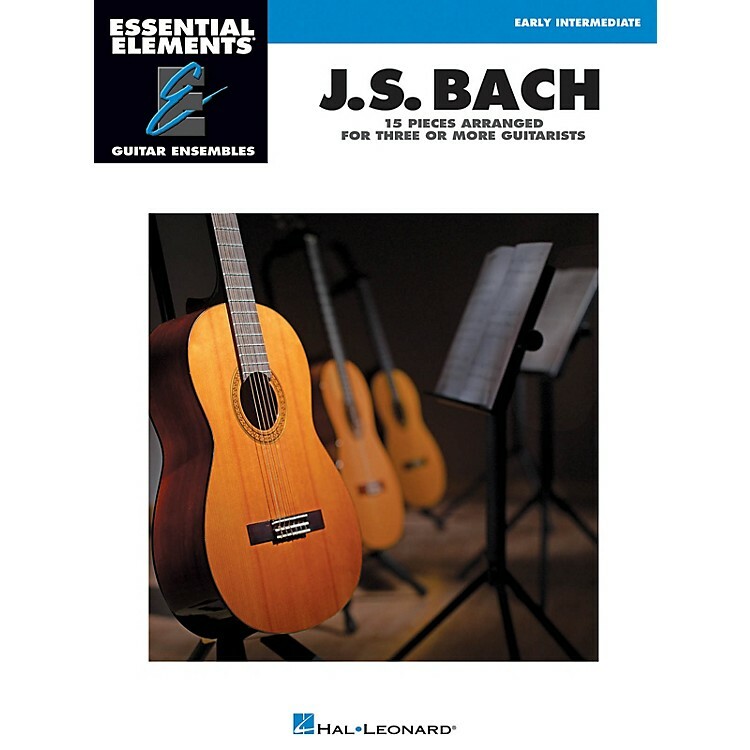 The songs in Hal Leonard's Essential Elements Guitar Ensembles series are playable by multiple guitars. Each arrangement features the melody (lead), a harmony part, and a bass line. Chord symbols are also provided if you wish to add a rhythm part. For groups with more than three or four guitars, the parts may be doubled. Play all of the parts together, or record some of the parts and play the remaining part along with the recording. All of the songs are printed on two facing pages; no page turns are required. This series is perfect for classroom guitar ensembles or other group guitar settings. This edition features 15 songs: Arioso · Bourree in E Minor · Gavotte · Jesu, Joy of Man's Desiring · Musette in D Major · Sheep May Safely Graze · Sleepers, Awake (Wachet Auf) · and more.